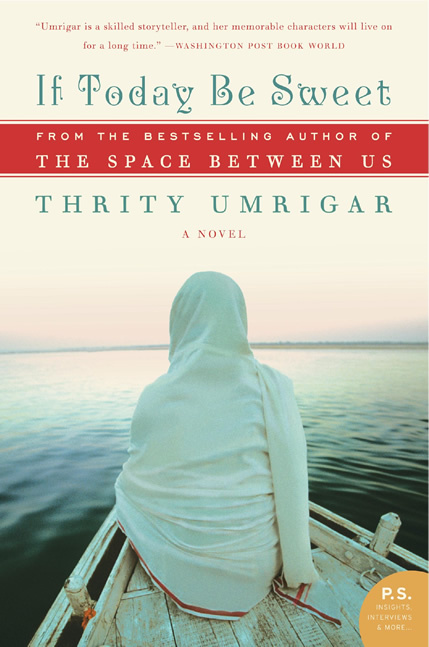 I first came across Thrity Umrigar’s name somewhere in the blogworld. 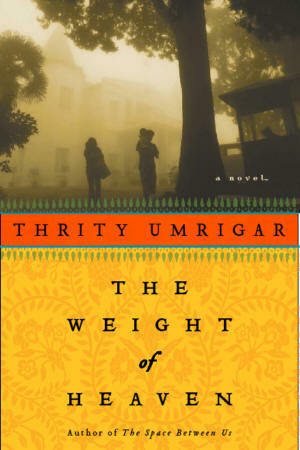 Swaram recommended the books too, so when I found The Weight of Heaven in the library, my happiness knew no bounds. The story is set in Girbaug, a small town in India. Frank and Ellie Benton, after having lost their seven-year old son, to a sudden infection, have moved to India, in an effort to put the past behind them. Frank and Ellie, college sweethearts who had been extremely close, had been having a tough time keeping their marriage together after Benny’s death. In India, Ellie, a therapist, manages to find a purpose in life, make new friends and starts to feel at home. For, Frank, however, it is a different India. It is an India, full of corruption and complications. An India where he feels like an outsider. The company Frank works for, Herbal Solutions, seems to have antagonized the local people, when they bought the land with trees having medicinal properties. The local people depended on it for several decades and now, do not understand how the company could have bought the trees that were theirs. In addition to this, there are trade union issues which Frank finds difficult to handle. The only bright side to Frank’s life in Girbaug, is their housekeeper’s son – Ramesh. Frank is captivated by the little boy’s smartness and charm. He spends hours teaching him, going on picnics together, playing basketball with him, buying extravagant gifts. So much so that his parents,his father, in particular starts resenting Frank’s involvement in his son’s life. Things come to a head when certain complications force Frank’s boss to call him back to America. Frank then takes a decision, which changes the course of a lot of people’s lives. The book is beautifully written. The pain that Frank and Ellie are going through comes across very clearly. The author also gives a very vivid picture of life in a small town in India. The difference between Ellie’s India and Frank’s India are beautifully brought out. The struggles of an American couple in India is well etched out, especially given the fact that in a lot of situations, they are made to be apologetic for their government’s actions in different parts of the world. I would give it a five on five rating. It was a brilliant read. I could not keep the book down without completing it.